We have archived our multimedia presentations to help answer many of your most pressing investment questions, keep you on top of key investing trends and make the educational experience as immediate and enjoyable as possible. We offer a series of informative and comprehensive webinars for advisors and sophisticated investors that help clarify some of the complexities or reveal some of the biggest misconceptions in today’s markets, economy and the investing world. Eligible for continuing education credits, our webinars are approximately 60 minutes long, and focus on the timely issues of the day. They are structured around Q and A interviews with noted financial experts and economists from around the world. Note to financial advisors: We encourage you to click on the webinars available. Eligible for CE credit, they are approximately 60 minutes long and cover intriguing topics with noted financial experts. Recent webinars include: “The Truth About Inflation” (with economist John Williams) and “A Different Economic Future, Are You Ready? “(with Chris Martenson). We offer a series of informative and comprehensive videos and PowerPoint presentations that provide further insight into the inner workings of the markets and on precious metals. 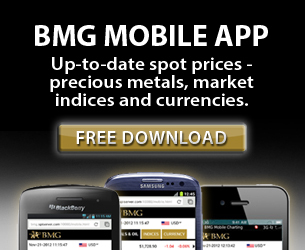 These presentations provide valuable education on investing in precious metals and the economy. Nick Barisheff appears monthly on the Financial Sense Newshour, a weekly investment and economics radio show originating out of southern California. The show is heard around the world by Internet listeners. 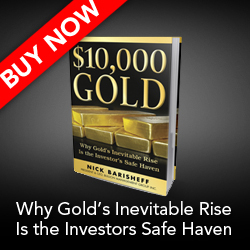 Nick and host Jim Puplava provide listeners with terrific insight into precious metals and precious metals investing.